We can build your creative ideas into a custom design that will display a one-of-a-kind work of art. 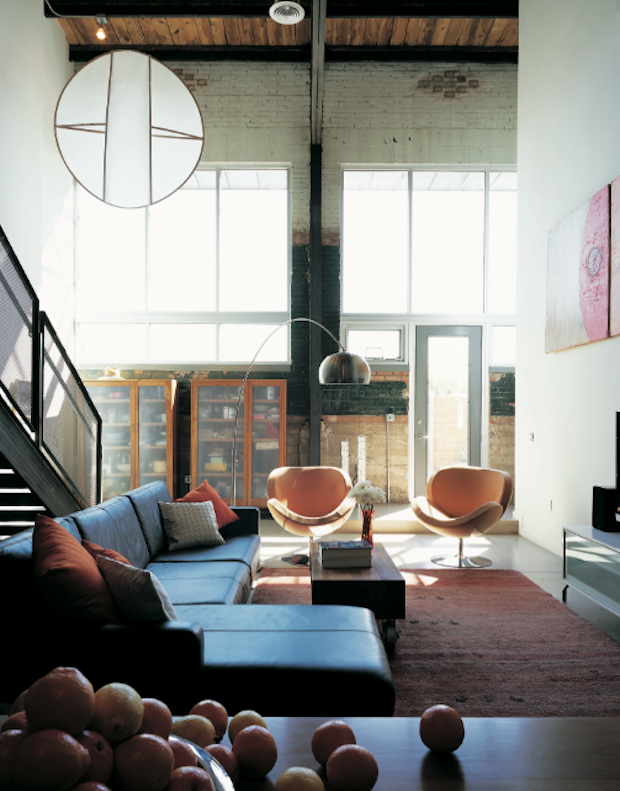 This room features 25 ft. high ceilings and steel "I" beams showcasing an industrial style. 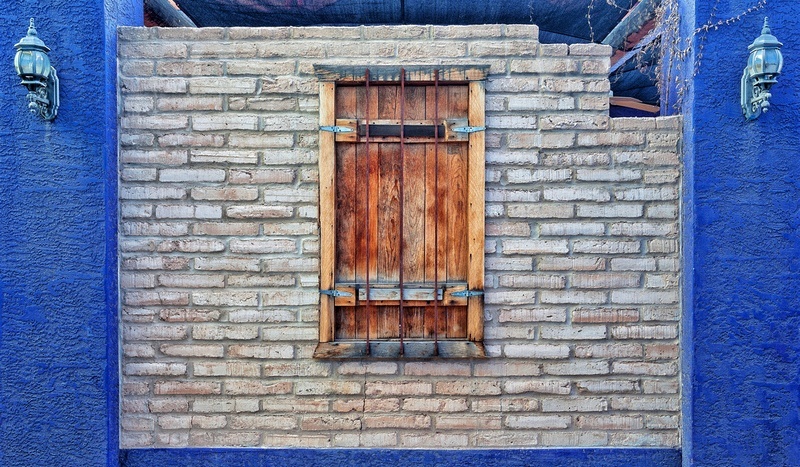 We believe in sustainable building and strive to recycle materials whenever possible. 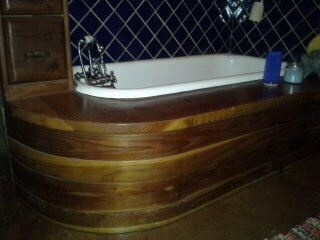 We built this bath with recycled wood reclaimed from the original flooring. Every space is unique and requires special attention. 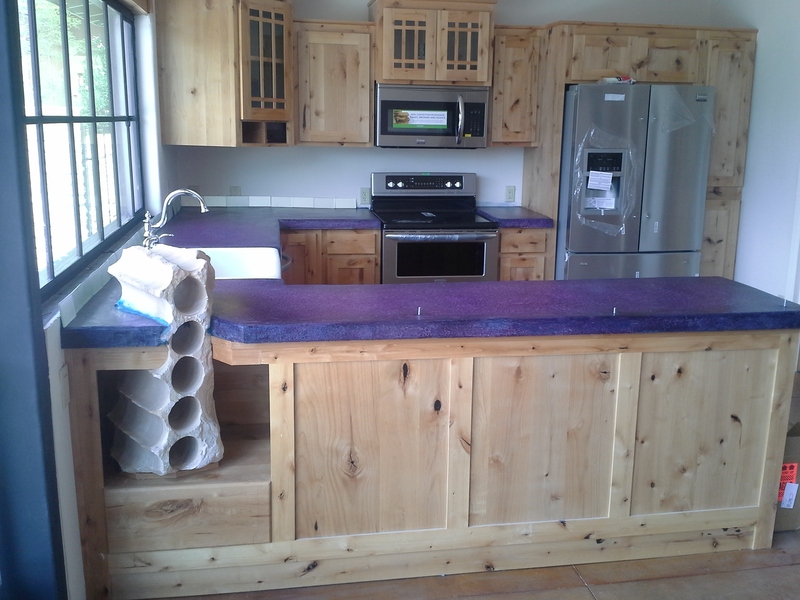 The concrete counter tops are a color mix and the counter has a unique build-in stone wine holder. We take pride in our craftsmanship and making an authentic product for our clients. 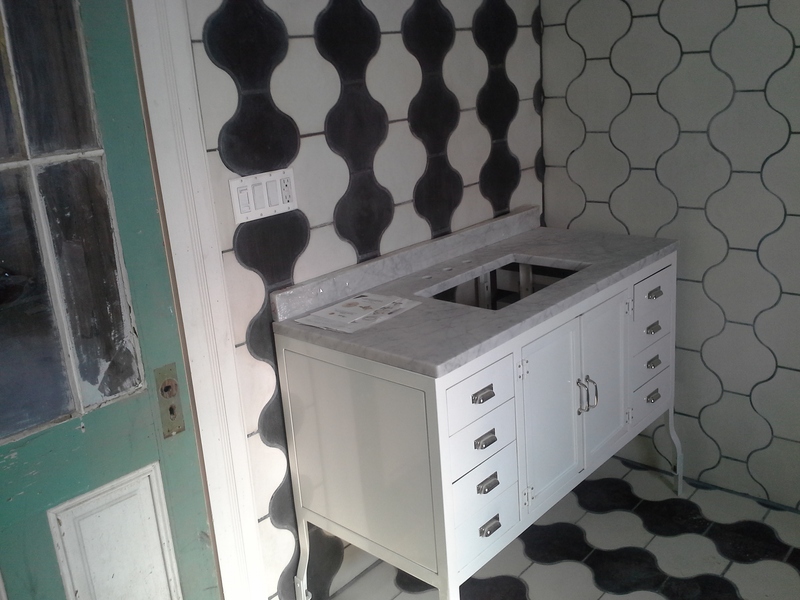 Our hand-made tile can be personalized with your choice or pattern and color.